Lightly raced four-year-old Nordic Lights improved on a promising Carnival debut when making virtually all to beat fellow Godolphin runner Desert Fire in the nine-furlong turf handicap on week six of the Dubai World Cup Carnival at Meydan, UAE, on Thursday, 7 February. The Charlie Appleby-trained son of Intello, runner-up to First Nation in a similar contest over a mile and a quarter on Thursday, 17 January, broke smartly under William Buick and soon took the 12-strong field along. Nordic Lights kicked on at the top of the straight and kept on strongly to come home two and a quarter lengths ahead of Desert Fire (Saeed bin Suroor/Christophe Soumillon), who was handy throughout, in 1m 49.69s on good ground. 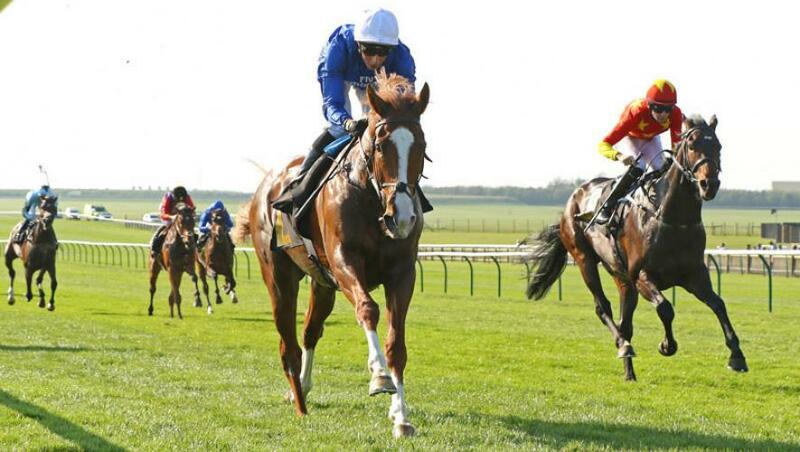 Charlie Appleby said, “We tried to eliminate the preliminaries as much as possible with Nordic Lights, which helps because he is very hard on himself. Coming back to nine furlongs also suited. “He was just running out of gas over 10 furlongs last time and got caught late on, so we were confident that he would have the pace for this trip and hopefully see it out strongly. “He soon starts to get himself worked up down at the start and it’s just a question of trying to keep the lid on him for as long as possible. It was handy that we were allowed to get him down to post early and keep him as calm as possible. “He was a breeze-up horse and was probably asked to do quite a bit as a two-year-old for a big horse. I think that has sort of played on him, so you are better off keeping it simple and letting him get on with it. “He deserved to get his head in front as he is a horse who has always shown a lot of potential and never quite gone through with it. Hopefully, he will gain some confidence from today. William Buick added, “Charlie told me to get on Nordic Lights early and try to make it as easy as possible for the horse. “We managed to set him off on the right foot today and it made a difference as he is in the right frame of mind. “He is a strong galloper and has always been a horse who has been held in fairly high regard, so it is nice that it has come together for him. “Nordic Lights is just a horse who, once he steps onto the track, he is in the ring and it’s time to go to work. He is a very honest horse and, if they all tried as much as he does, it would be lovely.